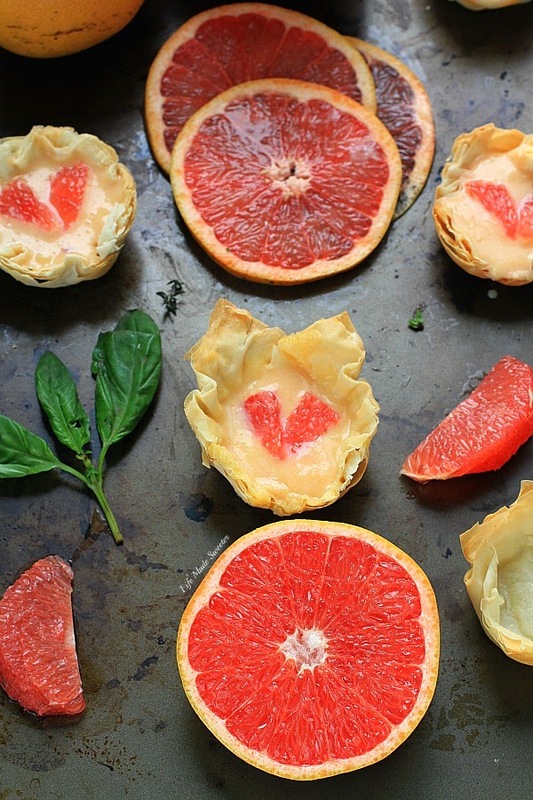 Grapefruit Curd Phyllo Tarts – the perfect dessert for parties. Best of all, made with phyllo dough and homemade grapefruit curd for a refreshing dessert to brighten up any winter’s day! We both love grapefruit and would have one every morning together while sitting and chatting until everyone else woke up. I can still remember saying to my mom that it was the best grapefruit I had ever had. She smiled and told me that it’s one of the many reasons my parents choose to go back to Florida every year instead of somewhere else. So even though I’m not in Florida having breakfast with my mom right now, I can still pretend that I’m surrounded by sunny skies and warmer temps every time I snack on some Florida grapefruit. With the big bag I picked up, I also decided to use some to make dessert for company we were having over. 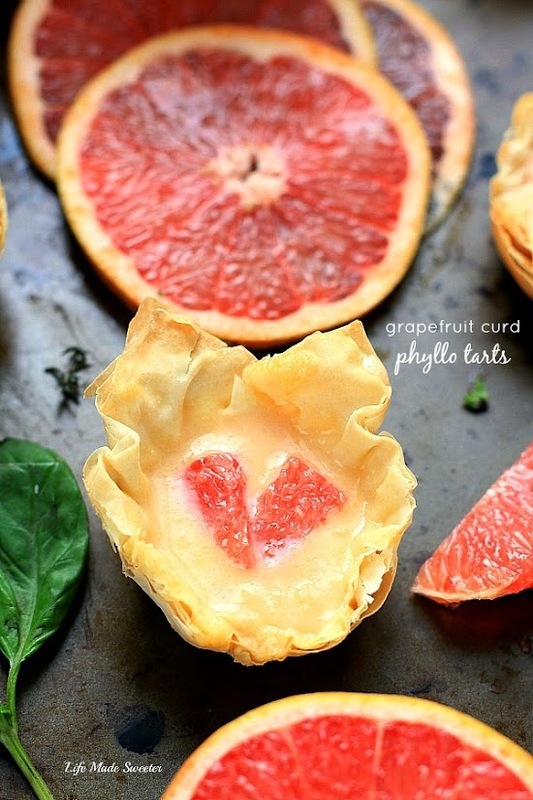 I made these Grapefruit Curd Phyllo Tarts and filled them with a refreshing and delicious grapefruit curd. They were nice and light with the crispy phyllo crust. Adorable little tarts made with phyllo dough and homemade grapefruit curd make a refreshing dessert to brighten up any winter's day! Make the grapefruit curd: In a medium saucepan, combine the juices, zest, sugar, and egg yolks in a saucepan. Cook over medium heat while stirring constantly with a whisk or spatula. Cook until the sauce thickens, enough to coat the spatula or the back of a spoon. Remove from the heat and add the butter one piece at a time, stirring until fully melted between each piece. Strain the curd through a fine mesh sieve into a large jar or bowl and cover with plastic wrap or the lid. Allow to cool fully before using in tarts or store in the refrigerator for up to 1 week. For the phyllo tarts: Make sure to keep unused phyllo dough covered with damp cloth. Stack 4 sheets of phyllo dough, brushing each sheet with melted butter before and sprinkle with sugar between each layer. Cut stack into squares. Arrange 2-3 squares in a muffin cup so that it drapes nicely or shape into hearts. Repeat process with remaining sheets of dough. Bake in a preheated 375º oven for 6-8 minutes. Cool completely. Fill with cooled grapefruit curd. 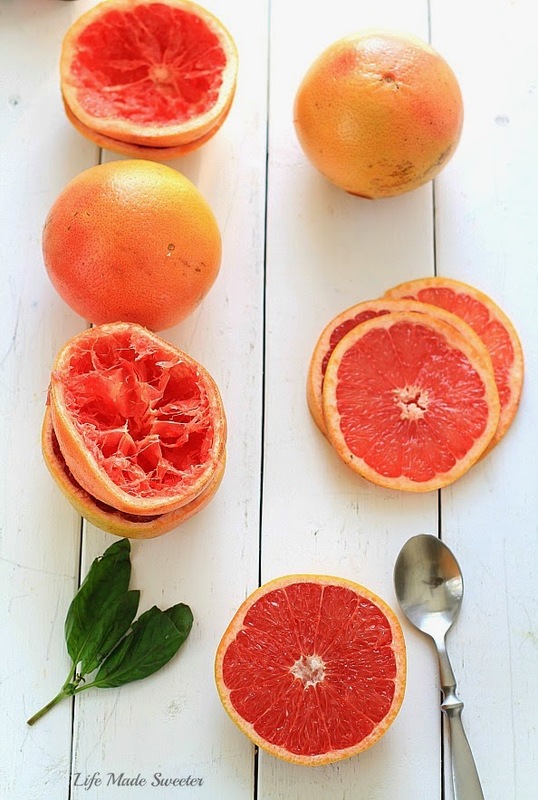 Top with grapefruit segment or any other fruit.